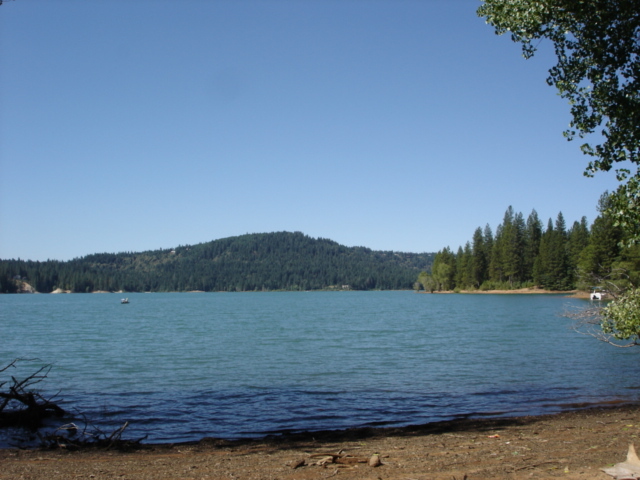 Located only a few miles northeast of Nevada City, Scotts Flat Lake offers beautiful lakefront recreation living including year round boating and water sports. Scotts Flat Lake is situated among the tall pines accessible via Highway 20 and Scotts Flat Road from the west. The Cascade Shores community is located on eastern shores and is accessible from Nevada City via Red Dog and Quaker Hill Roads. Sailing, water skiing, fishing, swimming, canoeing, and kayaking are all popular at the lake. Enjoy entertaining yourself and friend with sunset cruises on your party barge or a relaxing morning swim! 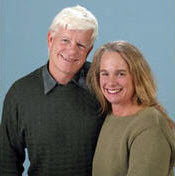 Keep an eye out for John and Sandra … they can often be seen boating or kayaking on the lake. And Sandra is an avid swimmer! Open year round, Scotts Flat Lake Campground is the premier Nevada County destination for outdoor fun and activities. Modern RV and trailer sites, hot showers, attractive tent sites and RV sanitary dump stations are all available at Scotts Flat Lake Recreation Area. Beautiful wooded hills surrounding the lake afford spectacular views of the lake. Whether you are looking for a vacation home or a permanent residence, enjoy relaxed resort living in the Scotts Flat Recreation Area. Check our Scotts Flat Lake map of properties on MLS listing for available Nevada City recreation properties today. No one knows the recreation properties around Nevada City and Grass Valley better than us. We live the lure of lake front living in Nevada City. Let us show you what inspired John to create Recreation Realty at the junction of Highway 20 and Scotts Flat Road in the early 1970’s. At 3,000 feet, you will experience the full delight of the changing Sierra seasons. Winters are mild with occasional snow. With the rolling hills, you can toboggan or cross country ski from your doorstep. Spring brings abundant wild flowers and the delight of new baby animals. With summer the lake comes alive until vibrant autumn leaves create a brilliant array of color.